Triple-cured resin reinforced glass ionomer crown and core build-up material. Light cures in 20 seconds. Blue shade. Toothlike coefficient of thermal expansion. 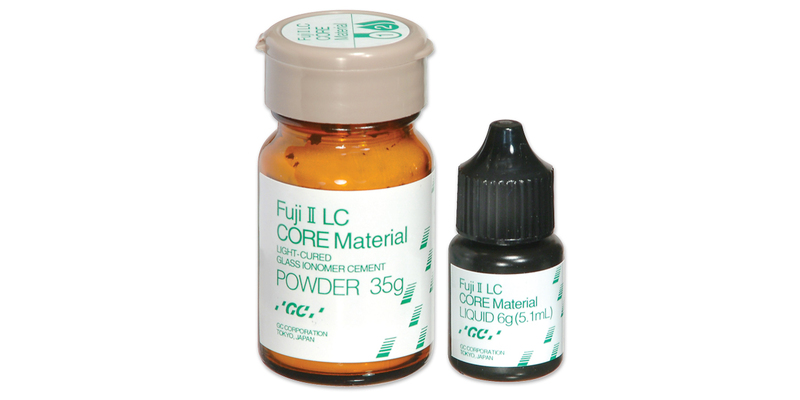 May also be used as a base under composite resin and amalgam or as a temporary restorative. Radiopaque. Releases fluoride. Contains: 1 x 35g bottle blue shade powder, 2 x 6g (5.1ml) bottles liquid, mixing pad, scoop.